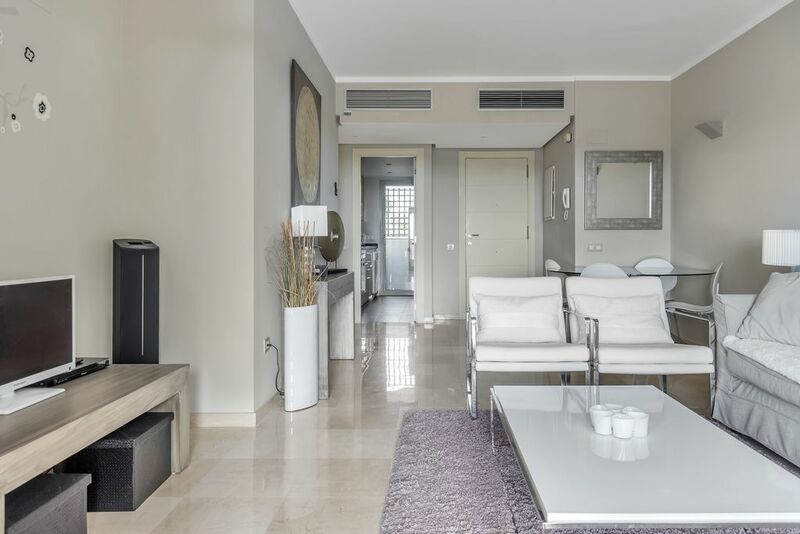 Beautiful Two Bedroom Apartment on the stunning Las Colinas Golf Resort. A beautiful apartment perfect for family holidays, couples and golfers, situated on the award winning Las Colinas Golf Course. Fully equipped with all mod cons, air conditioning and furnished to a high standard. The apartment has communal WIFI and TV channels. You can go to Las Colinas Golf Club House for breakfast, coffee, lunch, evening meal,cocktails, there is also a Sushi bar situated here, it also has a mini supermarket for those essential items. Closest town is San Miguel approximately a 5/10 minute drive. If you are looking for a peaceful holiday surrounded by greenery this is the place of you. Should you require baby equipment, a mid week clean or airport transfers please let us know and we can let you know the price and arrange for you. This Property is managed by OCC Property Group an established estate agent and property management company with offices at Local 8, Calle Ramon de Campoamor, Orihuela Costa 03189. We are always available to answer any questions you may have and to help should assistance be required. Should you be interested in buying a property please let us know and we would be more than happy to assist and guide you through the process. Situated on the stunning award winning Las Colinas Golf course. If you are looking for a peaceful holiday surrounded by greenery this is the place of you. Très belle appartement, face à la piscine . Thank you for your review I am glad you found the apartment quiet and restful we would love to have you book a holiday with us in the future.